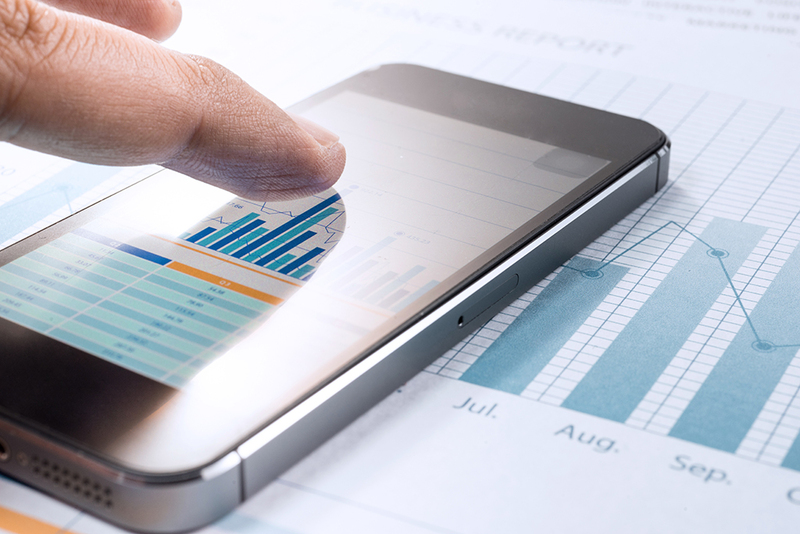 Does Your Mobile App Cost You More Sales Than It Gets You? Every Black Friday, the analyst team (myself included) huddles in a room to monitor the online performance of our clients’ busiest shopping day of the year. The day is dedicated to keeping an eye on the data as it becomes available in Google Analytics (GA) to uncover where clients are exceeding or falling behind based on the previous year’s performance. Last Black Friday was no different. Starting at 9 am sharp, we dove into the analysis – each team member assigned to a list of client GA properties to investigate. As the day progressed, one client stood out among the rest. This client’s website saw a large year-over-year decline in revenue, transactions, and conversion rate. With some digging, it was clear that website performance was only a piece of the puzzle. It turned out the client recently enabled eCommerce on their mobile app, which meant the website was no longer the only source of revenue. Once the website and app data were consolidated, it was clear that last Black Friday performed better than the previous year. But what if the opposite were true – what if the mobile app was the culprit? This analysis led me to ask the following question: Does your mobile app cost you more than it gets you? Before you say, “Of course my app drives more revenue!” ask yourself a different question: “Have I actually checked the numbers for myself?”. We work with great teams across the world, and have found that mobile app performance is often not assigned as part of a project to develop an app, effectively severing an expensive initiative from its opportunity to prove whether or not it achieved its goals. These numbers will give you a broader sense of where each platform is performing well compared to the other. By doing this you can begin to see whether or not the mobile app is being adopted, improving the user experience, and driving conversion in comparison to the website experience for mobile users. It’s worth calling out that while most of these metrics are available by default in your GA view, they are not all available in the default report tables. I recommend creating a custom report in GA (for both the app view and the website view) to surface this data. Navigate to the “Custom Reports” tab on the left hand menu of your GA view. There you will be able to create a report with the above-mentioned metrics. Revenue per Session and Transaction per Session are also not available by default. You will need to create a Calculated Metric, or manually calculate these metrics to get this data. To create a Calculated Metric in your GA view go to Admin -> Calculated Metrics (within the View settings). Once created, you can apply these calculated metrics to custom reports. What If Your Goal Isn’t Revenue? But what if I don’t care about transactions and revenue? What if my KPI is not an eCommerce conversion but a lead form submission or a newsletter subscription? One of the ways to evaluate an app’s success for these types of KPIs is to set the KPI as a goal in GA. Creating a goal gets you the goal conversion rate out-of-the-box. And if the goal is also created in the GA website property you can proceed to compare the goal conversion rate of the website (for mobile device users) against the app’s goal conversion rate. Additionally, you have the option to apply a monetary value to a goal to translate a non-ecommerce KPI into a dollar amount. It’s important to note that when evaluating the performance of an app against the website, an equal or similar conversion rate does not equal success. There has to be an incremental increase seen in conversion rate to justify the cost of running the app. Ultimately you should be asking yourself the following question: If my app had not been deployed or if I turned it off today, would I make more money? This is a simple approach and not a comprehensive check by any means, but it gets you the frontline answers you need to start asking more questions about app performance such as how the cost of maintaining and promoting an app impacts return on investment. If you have questions about evaluating app performance in GA or need help, drop us a line. As an Analyst at Napkyn Analytics, Katerina works with our largest customers to help them understand the performance of their marketing efforts and ecommerce stores.